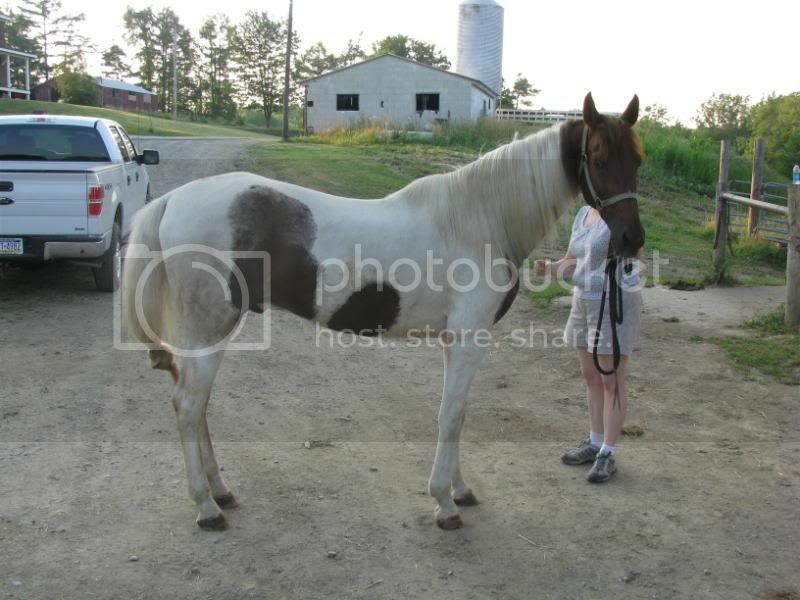 ok we had our morgan gelding on here a while back, but he didnt work out so we had to find him a new home. we purchased this gelding and he was in rather bad shape when we got him so only got to ride him once at the walk and are now back to correcting some small issues. We were told he was a national show horse "type" no papers. 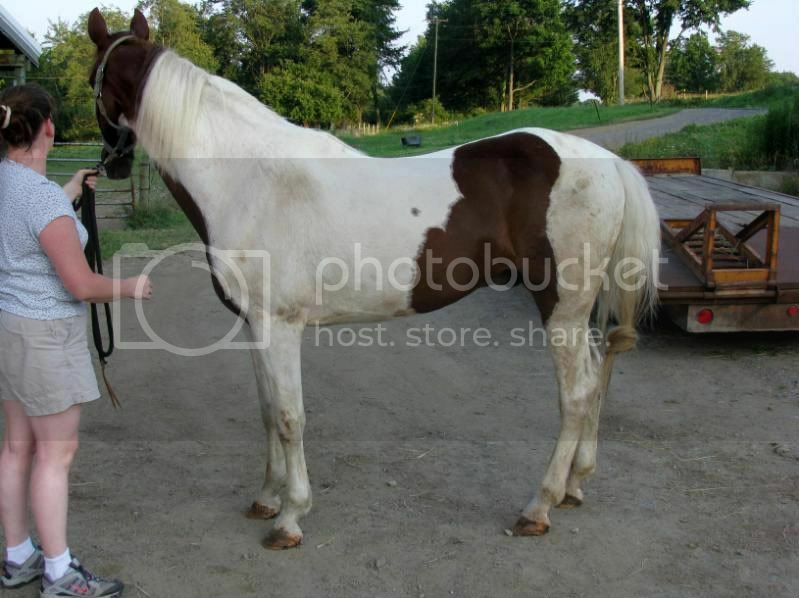 He has alot of action and will walk, trot, rack, and canter in the field freely. We have no backround information and before i gave up completely on learning saddleseat and selling my saddle i was wondering if you guys thought he could be conformed for saddleseat. he is around 15.3hh and 16yr old. He does not park out in hand(i could be asking wrong) and i dont know if he does under saddle yet. i assume not if he dont do it in hand. He looks like he could raise up. I think he's cute, and I don't generally care for "spots". LOL Good luck with him. Once he fills out, he's going to be one handsome horse! If I were you, I would go on to Trot.org to learn more about Saddleseat. i have been living on that site lol. i also do have a saddleseat instructor but am new to saddleseat so i was just trying to get a general opinion. i have shown thoroughbreds and quarter horses for the past couple of years and obviously the conformation that they look for is different then what a saddleseat horse needs.